How did I somehow find myself on the top of Mount Vesuvius this morning? My trip of a lifetime took a strange turn in the hours before it was scheduled to begin. when the life of my traveling companion was suddenly in danger. With five days left to go, I am blogging the madness into what I hope is a cohesive narrative as the vision of what this trip means becomes more clear. The story begins here. You can follow via email or Google. 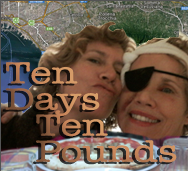 Tags: friendship, Italy, personal essay, travel blog. Bookmark the permalink. Previous post ← #PencilParty at the Impact Hubs!